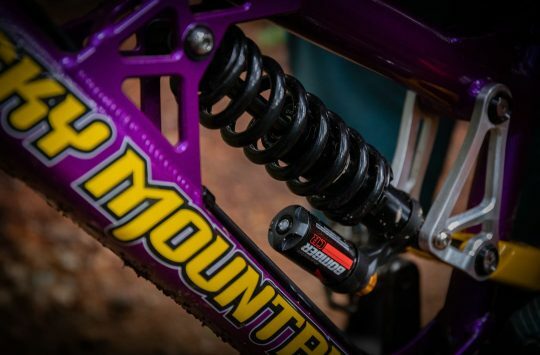 For many riders, suspension is one of the most important aspects to a modern mountain bike. Not all bikes use it, and not all riders need it. 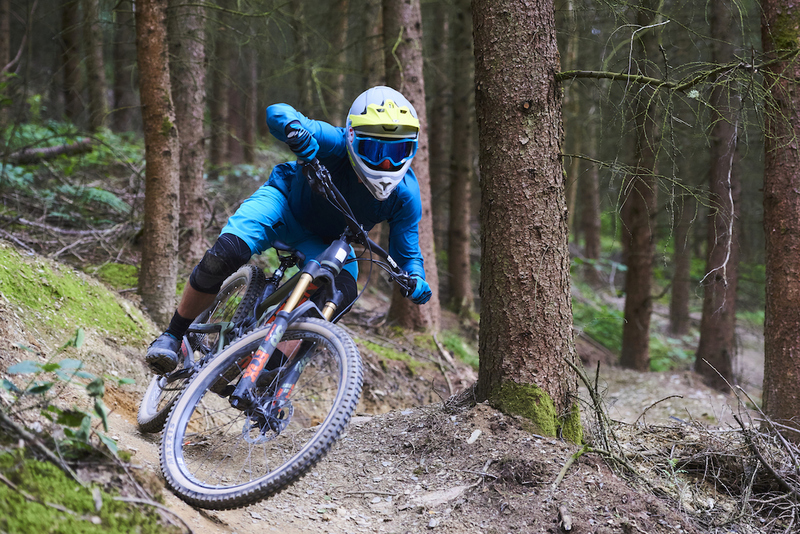 But for most of us, the added comfort and control of using suspension allows us to ride faster and with greater momentum – especially when the terrain gets rougher. When you think about it, suspension travel itself is a funny thing. Because when it boils down to it, just 8cm of travel can separate a full-blown freeride bike and a lightweight XC hardtail. 10mm here or there doesn’t sound like a lot, but in the real world, it can cause a much bigger effect. Whether it’s 10mm more fork travel, or 10mm difference in your saddle height, the difference can be night and day. 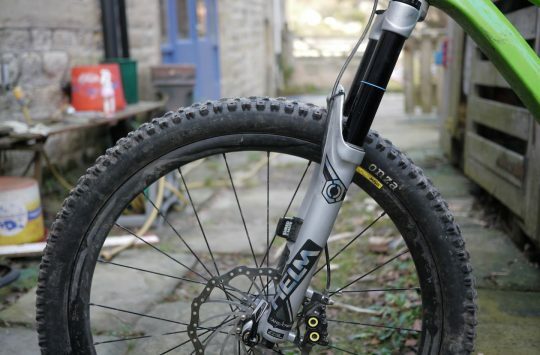 James has been rolling with a 120mm travel Ohlins RXF 36 fork on the front of the Cotic FlareMAX. With that in mind, we want to know how much travel you’re rolling with on the front of your primary mountain bike. Whether you ride a hardtail or full suspension, or even fully rigid – how much travel does your fork have? Have your say in the poll below! 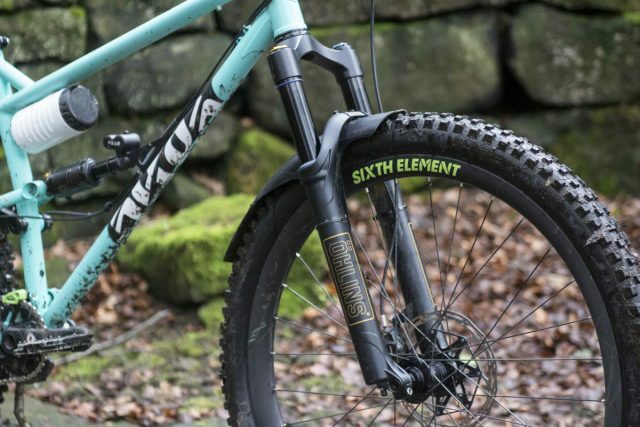 Wil tested the 2018 Sarancen Ariel LT, which gets a big 170mm travel Fox 36 fork up front. Maybe you own an all mountain bike that you use for enduro racing? 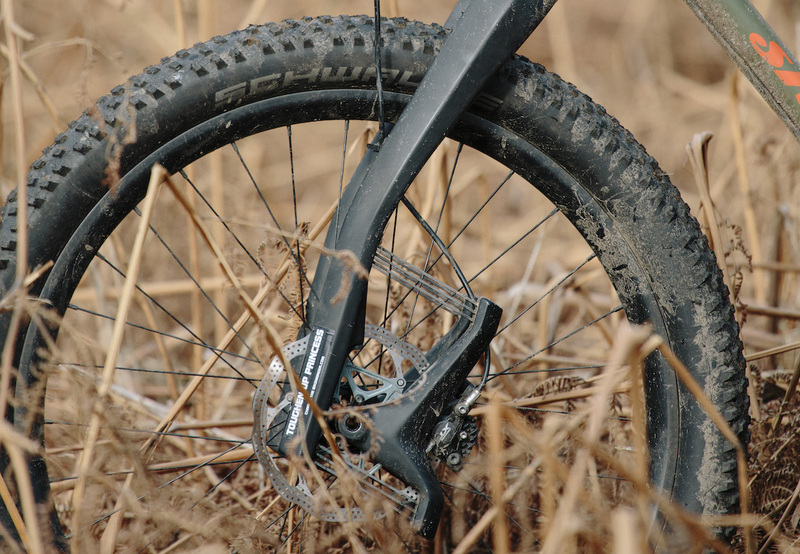 Chances are you’ll have a fork with somewhere between 150-180mm of travel on the front of your bike. 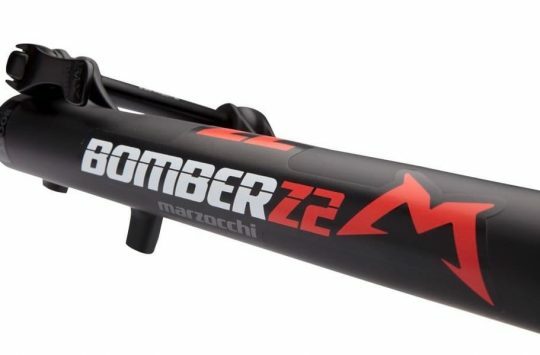 Something that’s nice and smooth for taking the hits, but burly enough to keep your front wheel pointing in the direction you need it to while bombing downhill. The superlight RockShox SID weighs just 1.5kg for those with hardtails and full suspension XC race bikes. Or perhaps you’re on an XC race bike instead with just 100mm of travel? Compared to longer travel forks, these lightweight XC forks feature skinnier 32mm diameter stanchions, firmer damping for out-of-the-saddle sprinting, and often tooled axles that are lighter than the quick-release versions used elsewhere. The Lauf has 60mm of travel, but delivers it in a novel way. Or are you rocking something a little different? 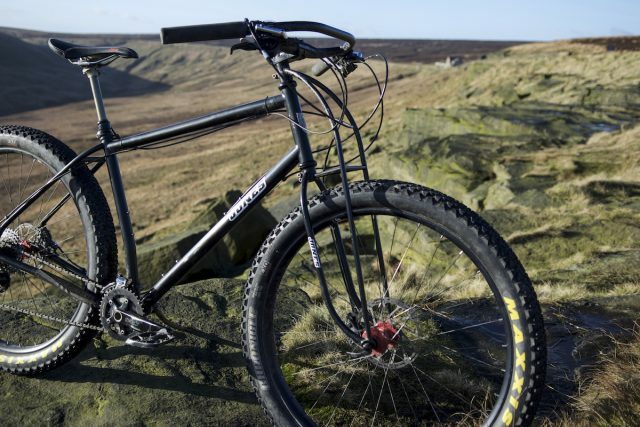 Perhaps a Lauf suspension fork that skips the usual air spring and oil damper arrangement of a telescopic fork, in favour of fibreglass flex springs that offer 60mm of simplistic travel for all-weather adventuring. The Jones Plus skips the suspension in favour of 29+ wheels and a slender truss fork. Before suspension forks, there were rigid forks, and there are still plenty of those around today. With the advent of 29in wheels and wider tyres, bikes like the Jones Plus can offer a damped ride with plenty of traction, without having to resort to a conventional suspension fork. So, how much travel does the fork on the front of your bike have? And what sort of fork do you use? We’d love to hear what you’re rolling with, so have your say and let us know in the comments section below! I’ve got a Reba for my karate monkey, but choose to stick with the rigid steel fork. I’m happy with it for trail centres, XC and long rides in the peaks. It’s slower on tech stuff, but no less fun IMO. 180mm on the front of a Geometron. Loving it so far. 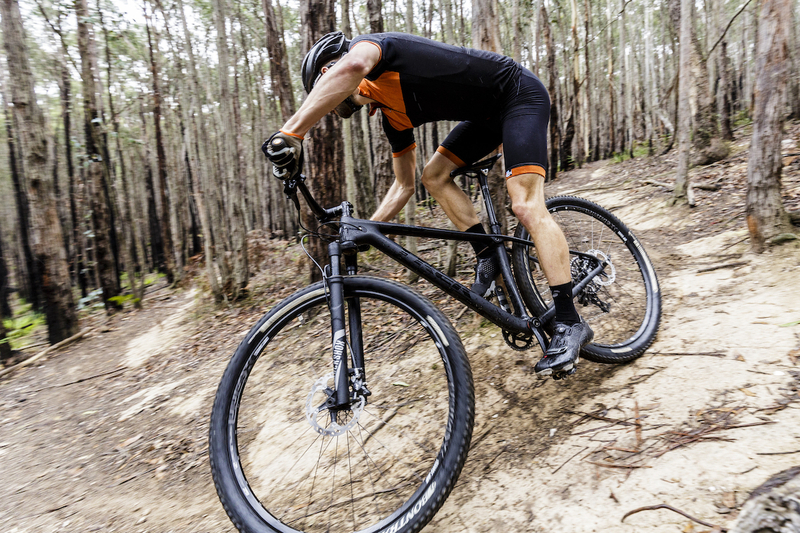 Full sus vs. hardtail vs. rigid: they all just offer a different experience. I ride a hardtail, mostly because I find myself being lazy on lines on a full sus, but my body hates me if I ride rigid. They are all fun though. 140mm F34 Factory on my Yeti SB5c. They come with 150mm forks since 2016 but I never felt the need to increase the travel. I barely use the 140 as it is! I’ve got a rigid, a 100mm 29er HT and a 160mm FS. All used for different things…. I probably ride the rigid most but only for going down the shop or taking the kids to school, although I do ride down some steps on the way home!! I’ve got just the one bike, Nomad 3 with 165 rear and a 180 fox 36 up front. I just lock it out as best I can for XC, then let it loose for uplift days. I don’t miss my old Epic at all!